Here at populapp we love classy gear, gadgets, apps and everything crypto. But every now and then we love to hit it hard for a good night of fun (and less fun, the following day). Hence, we were thrilled when we came across this new magic bullet! I’m never going to drink again! That feeling may subside after a day or so of misery. But what if you didn’t have to go through that? 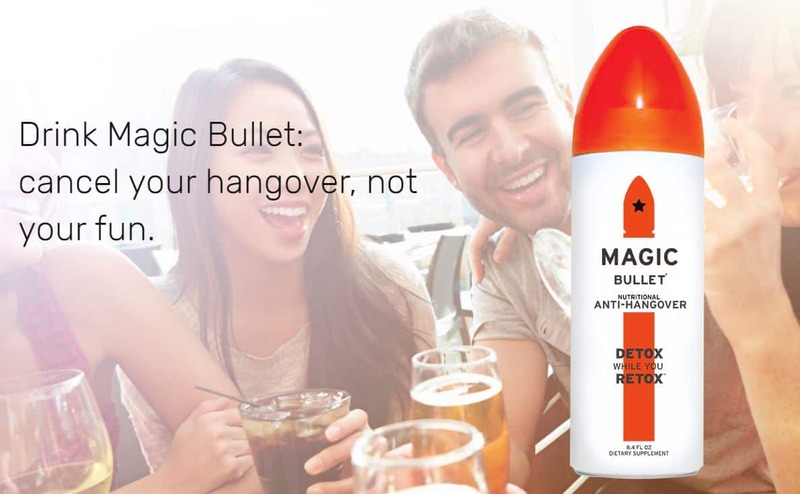 What you need is a magic bullet that could even prevent the effects of a hangover. 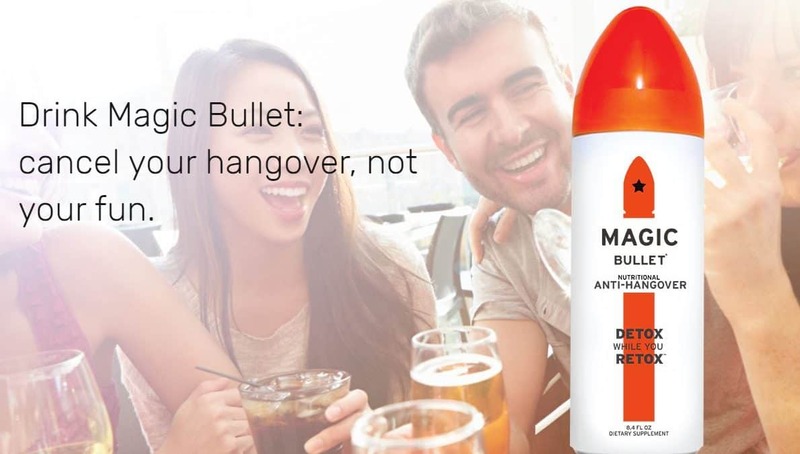 That is exactly what you get with Magic Bullet, a new drink that is made to help accelerate your body’s ability to eliminate the toxins from drinking alcoholic beverages. You can drink it on its own with its delicious blood orange flavored blend of natural ingredients. Magic Bullet contains milk thistle extract, n-acetylcysteine, turmeric, schisandra berry, lipoic acid, yellow dock root and grape seed extract. All of these ingredients are known to aid in recovery from hangovers.Together, they really pack a punch and can actually do an amazing job of warding off that dreaded hangover before you actually get it. The drink is sweetened with Stevia, a zero-calorie sugar alternative, and organic cane sugar. There is no high fructose corn syrup in Magic Bullet. There are also no stimulants in Magic Bullet to keep you awake at night. For that reason, it is safe to drink a Magic Bullet after a night of drinking (and/or before). Magic Bullet’s fruity taste makes it a great mixer. It especially goes great with tequila or vodka. The best way to use Magic bullet is to pre-flight with one before you go out or have one with every 3-4 drinks, and if you go big, have one before going to sleep.